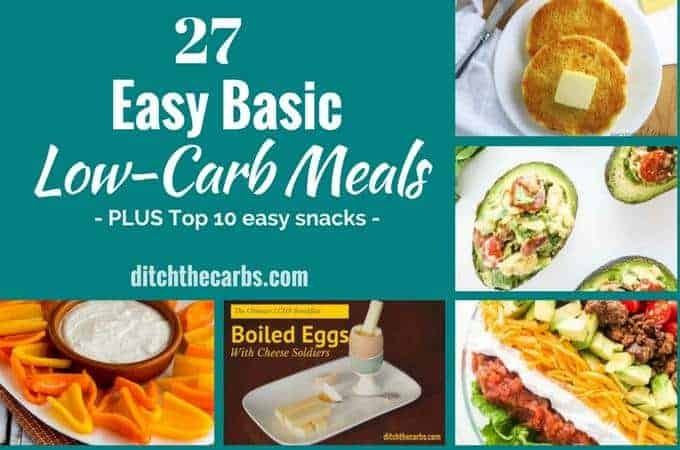 Who else is looking for easy basic low-carb meals and snacks? Recipes that can be relied upon so you don’t go off track when you don’t want to cook, or simply cook a basic low-carb meal. These easy basic low-carb recipes are perfect to add to your meal rotation. Basic low-carb meals for breakfast, lunch, dinners and snacks. This list will certainly help make day to day low-carb easier! Remember, you need to put some effort into cooking for yourself, otherwise you are outsourcing your meals to large corporations and food manufacturers. A recipe is a recipe because it is a list of instructions, and ingredients. Don’t be put off, the more you cook, the quicker and easier it becomes. My best tip, is to cook once, eat twice. Always try to make extra so you have another meal ready for tomorrow. It really doesn’t take any extra time. Leftovers are king! As one reader told me, “Thank-you, thank-you. Until I found your website, I thought cooking meant “peel back film to vent” “. Another reader once commented, “if you don’t have enough time to cook, turn off the TV and get off Facebook”, and that’s what she did. These basic low-carb meals are so easy, they don’t even require a recipe. 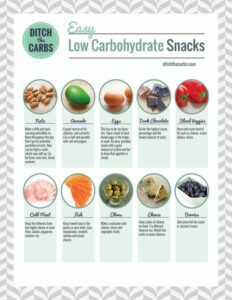 Here is my list of the top 10 basic low-carb meals – snacks list. My favourite would have to be eggs. I love them scrambled with butter and greens, Scotch Eggs, as a 1 minute muffin or poached in my egg maker. Forget protein powders (highly processed and expensive). If you need protein, reach for an egg. And if you are fed up with eggs, why not try cheese, tinned/canned tuna, or a few nuts instead. Just remember not to go overboard on low-carb snacks. They can be one of the biggest culprits to stopping weight loss. This is my list of Top 10 reason’s why you’re not losing weight on LCHF. Some of these easy basic low-carb meals may be made ahead, and in large batches such as grain-free granola. Then you have meals ready for weeks and weeks ahead. Cook smarter, not harder. 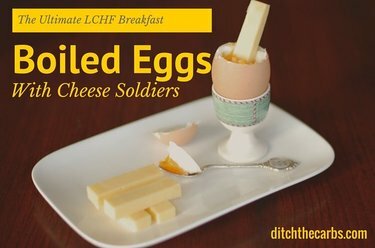 The Ultimate LCHF Breakfast by Ditch The Carbs – What could be easier? Pop eggs in your egg cooker on the way to the shower. Add some cheese sticks and you’re done. 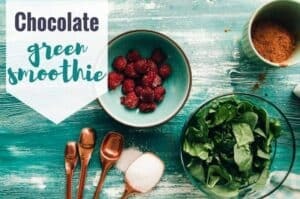 Chocolate Green Smoothie by Ditch The Carbs – throw it all in the blender. Now what can be easier. Zero skill required. 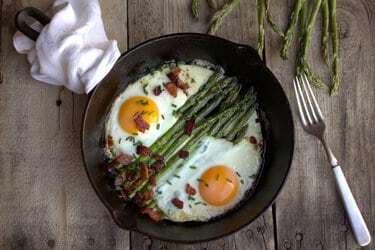 Breakfast Asparagus with Bacon and Eggs by KetoAdapted – Easy one skillet breakfast that tastes gourmet. 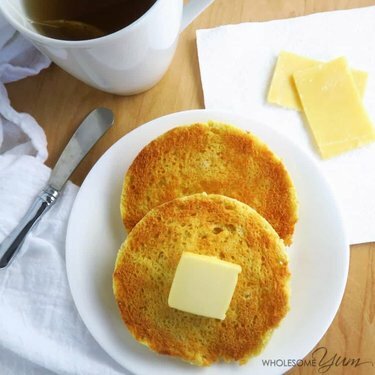 2-Minute Low Carb English Muffin by Wholesome Yum – A low carb English muffin is a quick breakfast you can make in just a couple of minutes. Why not make a few in advance? 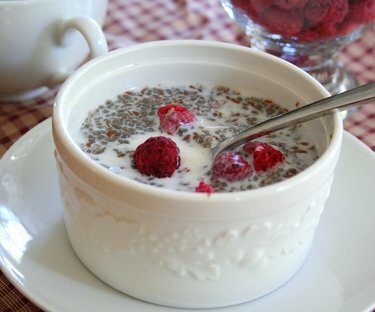 Muesli Low Carb Cereal by Low Carb Yum – Sick of eating eggs for breakfast? 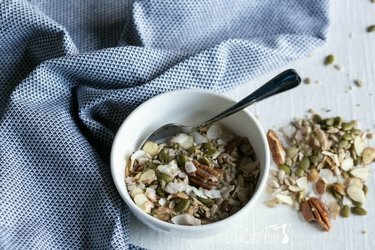 It’s super easy to whip up your own homemade muesli cereal! Grain-free Cream of Wheat by All Day I Dream About Food – Chilly mornings just got warmer and a whole lot easier. 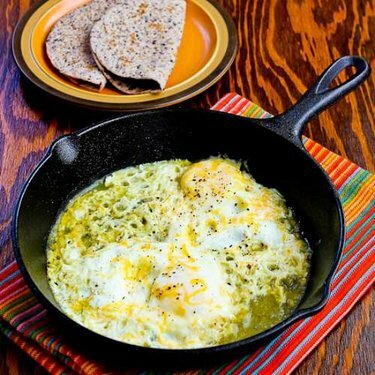 Fifteen Minute Salsa Verde Eggs by Kalyn’s Kitchen – Fifteen Minute Salsa Verde Eggs are delicious and easy to make! 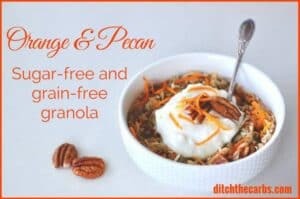 Orange And Pecan Grain-Free Granola – make in a huge batch, and this will last you for weeks at a time. No more excuse to grab a muffin and coffee to-go. 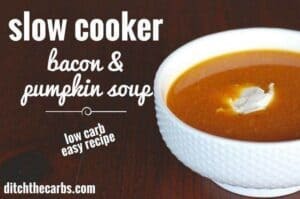 Slow Cooker Bacon & Pumpkin Soup by Ditch The Carbs – let the slow cooker cook meals for you. 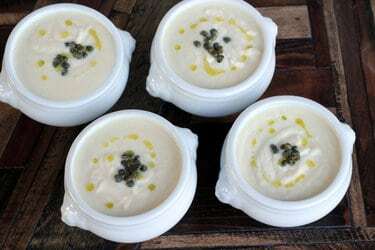 This amazing soup can be frozen, so make a huge batch. 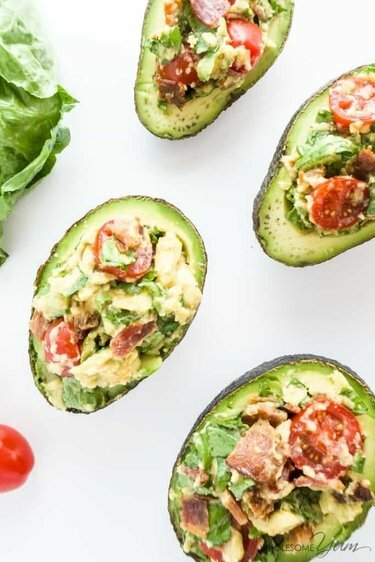 BLT Stuffed Avocado by Wholesome Yum – BLT stuffed avocado makes an easy and satisfying lunch. If you have some cooked bacon on hand, it’s ready in just 5 minutes. 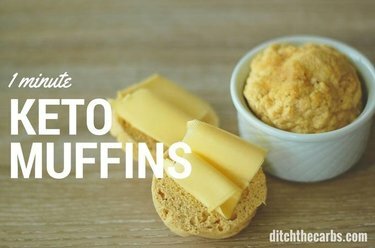 1 Minute Keto Muffins by Ditch the Carbs – Lunch can be ready in 1 minute. By the time you have made your cup of tea, these will be steaming and ready to devour. 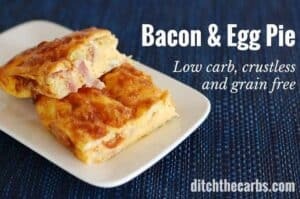 Bacon & Egg Pie by Ditch The Carbs – throw it together while the oven is heating up, sit down and put your feet up, dinner will be ready in a flash. 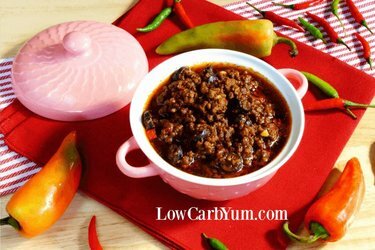 Chili Without Beans by Low Carb Yum – Chili is an easy dish that can be made on the stove or in the slow cooker. It’s also perfect to reheat in single servings for lunch. 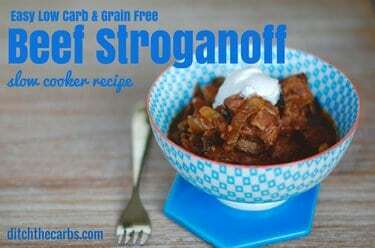 Low Carb Beef Stroganoff by Ditch the Carbs – Slow cookers can give you your life back. Just throw everything in together in the morning, turn it on. Bam, dinner is ready when you get home. Delicious Ham and “Potato” Soup by KetoAdapted – This delicious Ham and Fauxtato soup is not only simple it makes great leftovers for lunch. 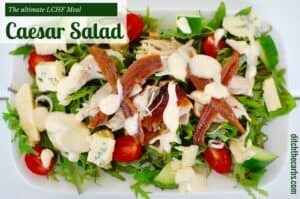 LCHF Caesar Salad by Ditch The Carbs – this is my absolute favourite go-to meal when I am in a hurry or don’t feel like cooking. Buy a cooked chicken and a bag of salad on your way home. throw it all together and voila – dinner is made. You’ll even have enough for the week’s lunches too. 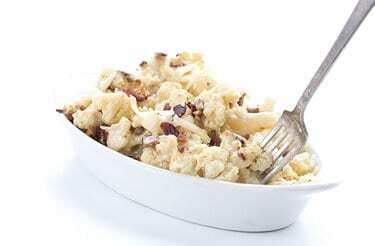 Low Carb Pepper Jack Cauliflower by All Day I Dream About Food – The ultimate in easy, cheesy, low carb happiness! 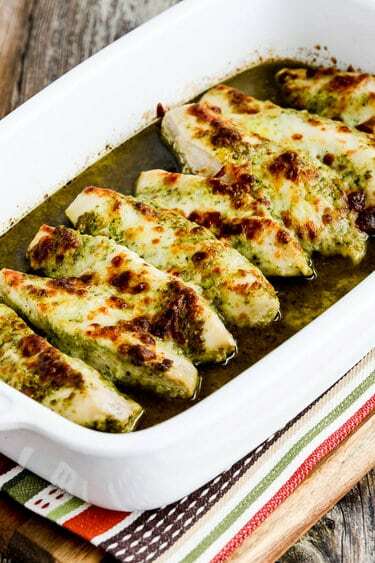 Easy Baked Pesto Chicken by Kalyn’s Kitchen – Easy Baked Pesto Chicken is a low-carb 5-Ingredient dinner you’ll make over and over! 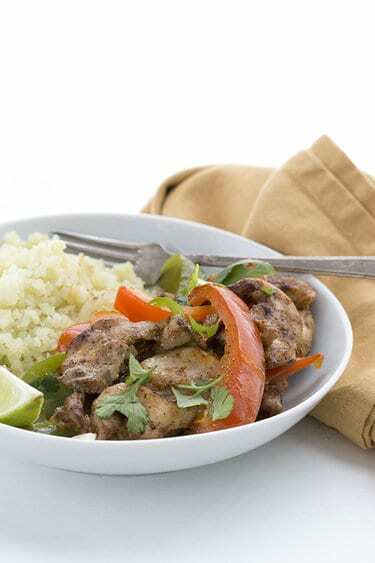 Easy Sheet Pan Chicken Fajitas by All Day I Dream About Food – Everything goes in one pan, pop it in the oven, dinner is served. 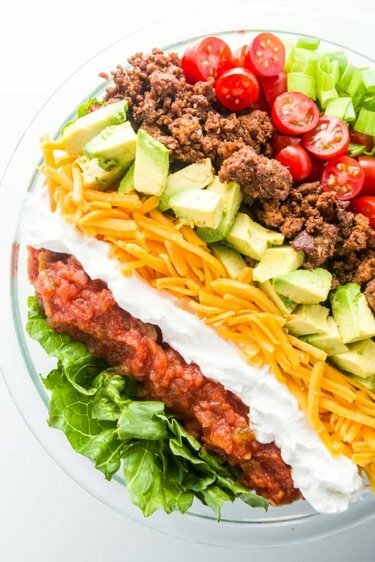 Healthy Taco Salad by Wholesome Yum – A taco salad made with simple, common ingredients. On the table in 20 minutes. this is more of an assembly line than a recipe. 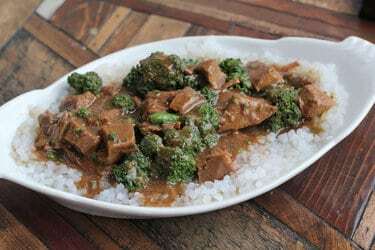 Slow Cooker Beef and Broccoli by KetoAdapted – I fill my slow cooker the night before so all I have to do is take the shell out of the fridge and turn the slow cooker on. 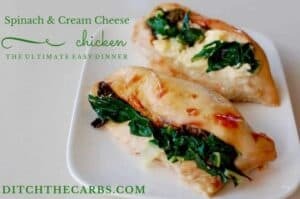 Spinach and cream cheese stuffed chicken by Ditch The Carbs – an easy family meal or one for dinner parties. Just don’t tell anyone you threw it together and it took less than 5 minutes to prepare. 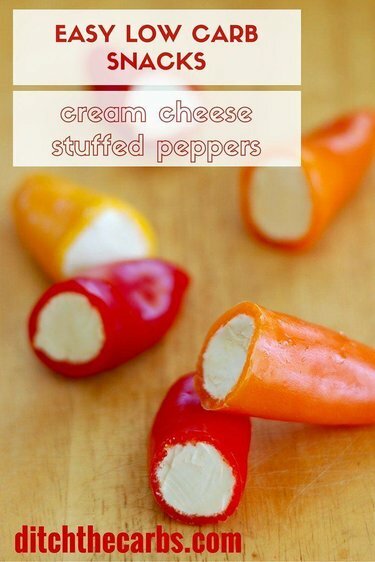 Cream Cheese Stuffed Baby Peppers by Ditch The Carbs – easy, filling and colourful. Make an few extra for lunch tomorrow. 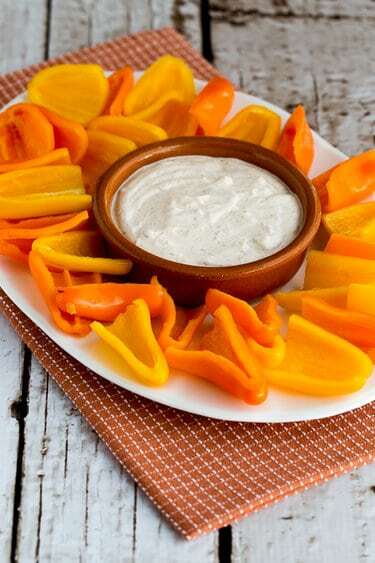 Southwestern Ranch Dip with Sweet Mini-pepper Scoops by Kalyn’s Kitchen – Mix up some Southwestern Ranch Dip to keep in the fridge and eat it with mini-peppers (or other veggies) for an easy snack! 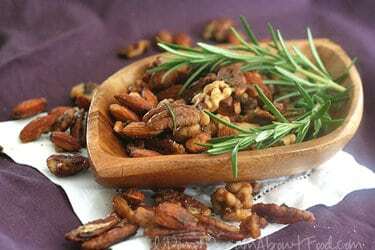 Maple Rosemary Cocktail Nuts by All Day I Dream About Food – I always keep a jar of these around for that sweet and salty craving! 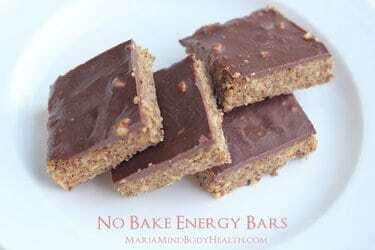 No-bake Energy Bars by KetoAdapted – These no bake energy bars are so simple and kids love them. 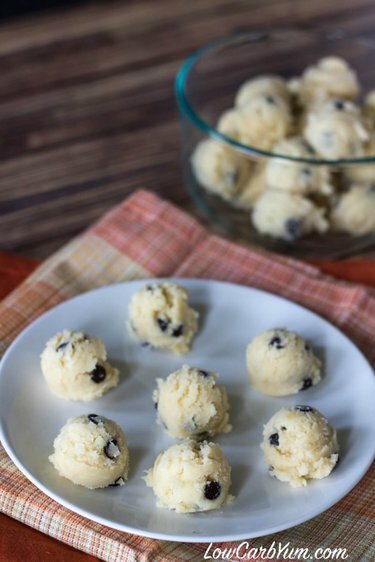 Coconut Flour Chocolate Chip Cookie Dough by Low Carb Yum – Got a sweet tooth? Satisfy it quickly with these quick and easy cookie dough bites. 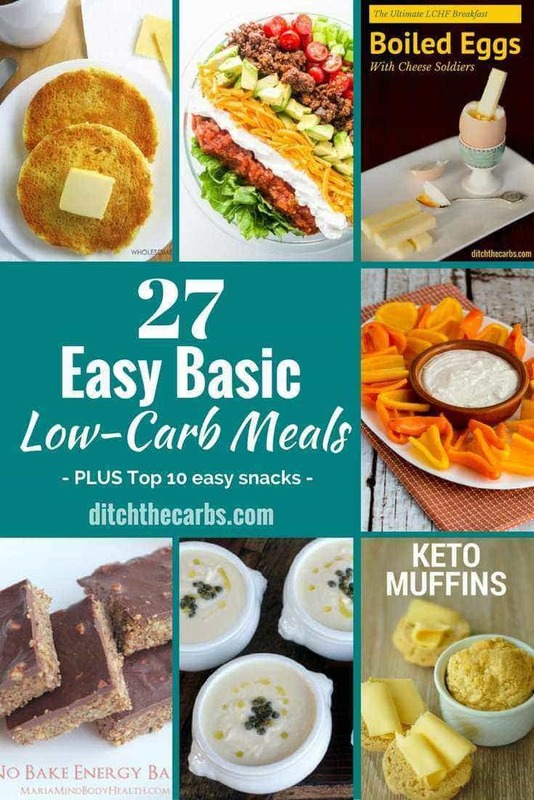 Looks like a great collection of low-carb ideas; thanks for including some of my recipes!